In a revolutionary new step, IBM just unveiled the world's first commercial quantum computer at the CES event in Las Vegas. Unsurprisingly, IBM is among the major show stealers of CES 2019‘s official opening day. This year, the company made headlines by unveiling the world’s first commercial quantum computer. Called the IBM Q System One, the quantum computing system is designed for both scientific and commercial use. IBM developed the IBM Q System to tackle the problems deemed too complicated for conventional computing systems to handle. Its future applications include finding new ways to build financial data models and isolating risk factors to make better investment decisions. Unlike the IBM Q, the IBM Q System One is compact enough to operate outside the company’s research lab. Its sophisticated design is optimized for reliability, stability, and continuous commercial utilization. IBM’s first commercial quantum computer was built by some of the world’s best industrial designers, architects, and manufacturers. This world-class team worked together with the IBM Research scientists and systems engineers to design the Q System One. The collective effort led to the development of the first quantum system that consolidates thousands of components into an air-tight environment encased in a nine-foot-tall, nine-foot-wide glass. 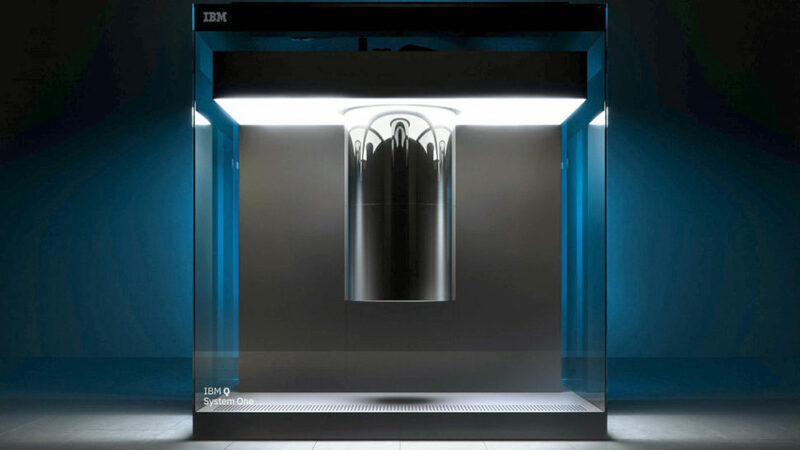 “The IBM Q System One is a major step forward in the commercialization of quantum computing. This new system is critical in expanding quantum computing beyond the walls of the research lab as we work to develop practical quantum applications for business and science,” Arvind Krishna, Senior Vice President of Hybrid Cloud and Director of IBM Research, was quoted as saying. The 20-qubit IBM Q System One is still considered a work in progress. While its inception is a significant quantum achievement, it is still not powerful enough to perform commercial applications that we all envisioned quantum computers would do for us in the future. A replica of the IBM Q System One is currently on display at the CES 2019 exhibit hall. Will commercial quantum computers lead to larger national security risks and privacy issues?